(Reposted) Let’s go to Banyuwangi….! part. 1. – "da Trooper Bali"
← (Reposted) Let’s goto Banyuwangi. part. 4. finish. (Reposted) Let’s go to Banyuwangi….! part. 1. 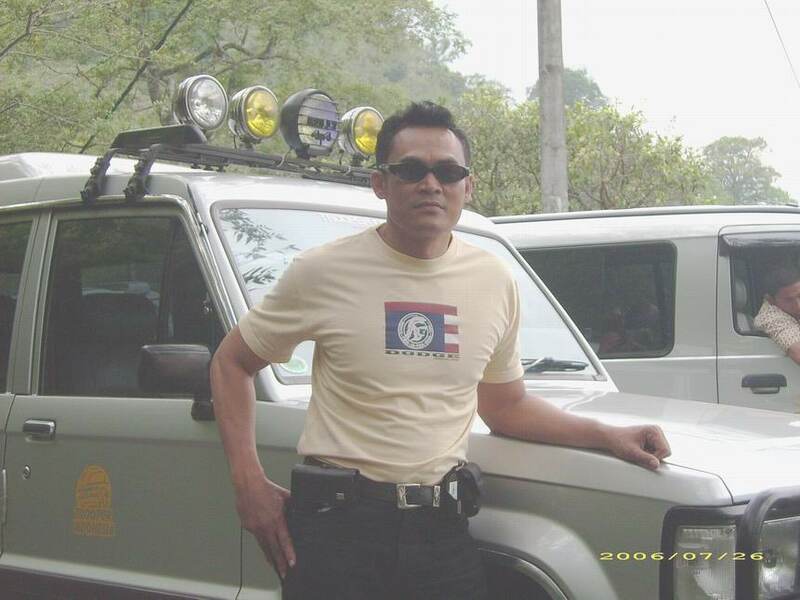 Hi brother of da Trooper and all of “da Trooper Bali” website visitors…. I am back again to you after a few days busy with my regular job as I have to feeding my family to provide their needs. I just finalized my article of Banyuwangi, as our next plan is to explore the beauty of Banyuwangi. Before we go there I think It is would be worth for all of us whoever will join with KTI Bali to got to Banyuwangi on our next adventure touring. After Trooper Indonesia Gathering (TIG) VII which just held in Yogyakarta from 8 to 11 July 2007 KTI Bali members seem not do any activity to trekking or out door. It seem they are quiet busy with their routine activity. But one of the members suddenly call me and encourages to go to Sukamade in Banyuwangi residence for our next out door schedule.. This invitation seem so challenging as some of KTI Bali members never visit Sukamade and me too. I understand and heard that Sukamade and Meru Betiri beach which is so closed with the city. If we see on the map, Banyuwangi it self is a spectacular next door neighbor of Bali and very closed with Jembrana residence, separated by the strait of Bali. Banyuwangi is a part of East Java province and only about 25 minute ferry ride from Gilimanuk to Ketapang harbor. Before we go there, it would be good to know and learn about it. About the people, about the culture, about the city, about the arts which is almost the same like the one we may see in Bali, about the history and an interesting legend of Banyuwangi name. I have read a few books about Banyuwangi and compiled to share it to all of you a KTI friends and a visitors of KTI Bali website. Banyuwangi city is surrounded by beauty and abounding in history, sights, and in particular, performing arts. In the city we can visit the Blambangan Museum a home of the ancient scripts and archaeological treasures. The history unfold in the old British quarter with a building that dated back 1766, a time when the British had just started a trading cooperative with the Chinese. There also a richly decorated Chinese temple in the corner of the city. On the way you will easy to find a “becak” the pushed bicycle with three wheels which push by a man. It’s about the city. 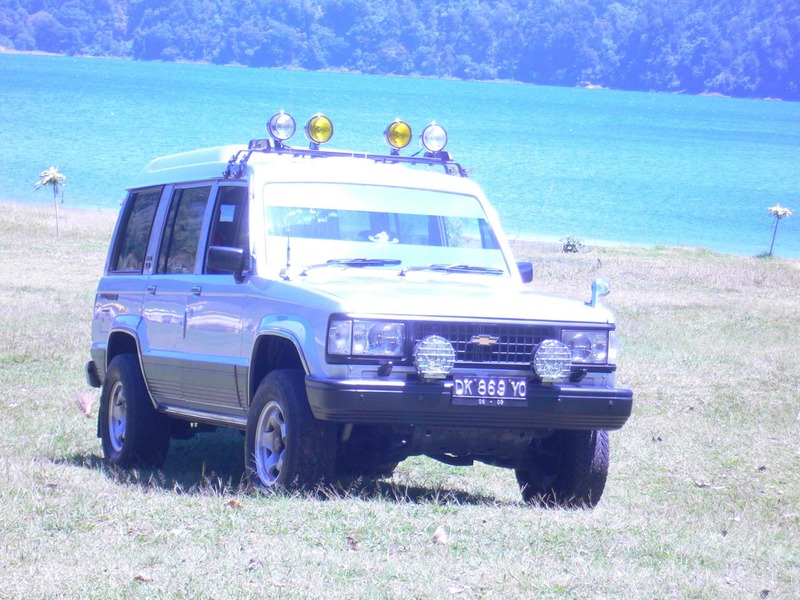 Well, as we drive da Trooper and willing to know and follows the pathways that we can passing by, we plan to go to Meru Betiri and Alas Purwo the national park in Banyuwangi residence. Banyuwangi name came from the “Banyu” = water and “wangi” = nice smell / floral aroma smell. So if we translate it in English the name of the city is “Nice smell of water”. Do you know why the city call by this name..? It’s very interesting that you will know why the name of the city is Banyuwangi. All right here is the full story. Enjoy it. Hope you will open your frame atmosphere more wide guys…. There is three an interesting places in the far east of Java. First place is Baluran, where is the covey of wild buffalo life and under the protection of the government. The second is Banyuwangi, whereas the people who will cross to Bali Island must passing this city before they jump onto the ferry to cross the strait of Bali. Banyuwangi the nearest neighboring to Bali, that’s way their culture quiet close compare to Balinese. Especially their dance performance and a little things of their language quiet close to Balinese in some parts. And the third place is Blambangan is known by the temple of Blambangan as long time a go Blambangan is the city of the Blambangan Kingdom. Blambangan is a Hindu Kingdom during that time. And nowadays, the temple still standing and be a famous distance of Balinese Hindu Community to their “tirtayatra” (Tirtayatra = Tour to visit any temple with a specific and has an history of ancient Hinduism). The name of Banyuwangi is start from this epos story. Start from the city of Blambangan. Blambangan city not so busy like Banyuwangi but in the past time in few years ago Blambangan is the center and the main city of the Blambangan empire and has it’s empower during that time. On that time Blambangan kingdom ever trembling the Majapahit kingdom when the king of Blambangan kingdom was Prabu Bhre Wirabhumi who is more famous with his name Menak Jinggo on the legend, but luckily there is a young man name Damar Wulan with his spectacular ability could kill Menak Jingga and Majapahit avoid from the harmful. The name of the city of Banyuwangi are raised during the king of Blambangan was Prabu Menak Prakosa who was still the grand son of Prabu Menak Jingga or Prabu Bhre Wirabumi. The area of the kingdom of Bambina quiet big and even that time the king of Prabu Menak Prakosa could attack the Kingdom of Clunking in Bali Island. The selected troopers and a squad were sent to Klungkung, Bali and landed in Kusamba beach, Klungkung. The guards troopers of Klungkung kingdom who keeping the beach could not covered and could not attack against the Blambangan troopers who leads by their king Prabu Menak Prakosa himself. After grab Kusamba beach, a part of the Klungkung kingdom the troopers of Blambangan moving and attack Gianyar kingdom and in the short stage Gianyar also be a part of Blambangan kingdom as the Gianyar squad could not defend their city line. When Gianyar fell down onto the Blambangan empower, the day was evening so the king of Blambangan Prabu Menak Prakosa order his troopers and squads to take a rest and make a based camp and raise a tents in the grass yard. After they take a rest for few hours, the king of Blambangan call his assistant Adipati Ragajampi to discuss the strategy that could build to attack the Palaces of the king of Klungkung. “Tomorrow early in the morning please go and lead the first attack to the Palace of the King of Klungkung. You may bring a half of the squads to empower your attack against them”. The King Prabu Menak Prakosa said. “Yes your majesty” I will”. replied Adipati Ragajampi. “Try to make them out from their bunker” While I will follow you with the rest of the squad to make the follows attack.” the King Prabu Menak Prakosa continue his order. “I obey your order your majesty”. replied Adipati Ragajampi. Again the King Prabu Menak Prakosa said : “If we won the battle, I will appointing you as a new King of Klungkung and be my representative in Bali…..!’. “I…. I….. I appreciate very much your present your majesty. I thanking you by thousand your majesty…” said Adipati Ragajampi with a lot of happiness in his face. “So do your best and won the battle Ragajampi.” said the King Prabu Menak Prakosa again. “Try to finish and won the battle before I arrive and you could grab and arrest the king of Klungkung …! !.” The King continue. “I will do my best your majesty…” replied Adipati Ragajampi. And the meeting is over. While in the Palace of the King of Klungkung, Ida Cokorde Klungkung also held a meeting with all of the family and relative of the kingdom. The King of Klungkung has two child who already been growth to a teenager. A son and a daughter. His son name Cokorde Bagus Tantra and his daughter name Dewi Supraba. The daughter of the King of Klungkung, Dewi Supraba the ages about eighteen years. She is very pretty and beautiful. With a nice good behavior and very helpful, make almost all of the people who met her will felt comfortable as Dewi Supraba love and respect to every one. The King of Klungkung already been old. About 67 years. His faces have been shrinkage and his hair his beard is white. With sadness he said to his son and his daughter: “Tantra and Supraba tonight both of you must go out from the Palace and disappear some where. If we won the battle you may back to the Palace.” said the Cokorde Klungkung, the King of Klungkung. “Father my beloved one, please allow me to stay. I want to accompanying mother.” She request. “Father allow me to go to the battle to attack the enemy” Allow me to battle against them… Cokorde Bagus Tantra requested. “ Cokorde Bagus Tantra also ask. The King of Klungkung raised his hands and replied. “I appreciate very much your willing my son.” But I have thinking about it and decided that both of you must go now. If I die on the battle, at least I still have a son and who will there after will continue our kingdom. And you can collect your power and get back our kingdom.” The King continue. “Don’t argue with me again” Panglima Cokorde Rai will a companying you to the safe place.” The King of Klungkung than look at his wife and said : My wife, you may join them tonight to the safe place.” He said. “No my husband. I will join you forever. In a glory or in a losses. I will never ever leave you.” She said. The King knew very well his wife behavior. Once she decided it would not be change anymore. The King of Klungkung then call his son : “Cokorde Bagus Tantra, come closed to me. He order his son. This entry was posted in Story legend, Trips. Bookmark the permalink.